A Maricopan hopes his new position can re-invigorate a local love of tennis. Carlos Rivas was named to the executive committee of U.S. Tennis Association (USTA) Central Arizona. He will serve as secretary. Originally from California, Rivas picked up the sport as a youngster wanting to be like Andre Agassi “with all the hair and crazy clothes.” He found a $10 racket and started hitting balls with his brother. He played in high school and at Paradise Valley Community College. Through tennis he met some of his best friends. He loved that sportsmanship was a vital part of the game, with players calling their own lines. After college, he was like many others who were unaware they could keep playing organized tennis. It was a decade before he discovered USTA programs. Rivas said contrary to the stereotype that tennis is an elite, expensive sport, he has found it accessible and diverse. Bargain rackets and tennis balls are easily available, he said, and Maricopa has tennis courts in both its city parks. The goal is not to create professional tennis champions but to instill skills that will set up kids for a lifetime of healthy recreation. Rivas said most USTA Central Arizona members are simply leisure players. 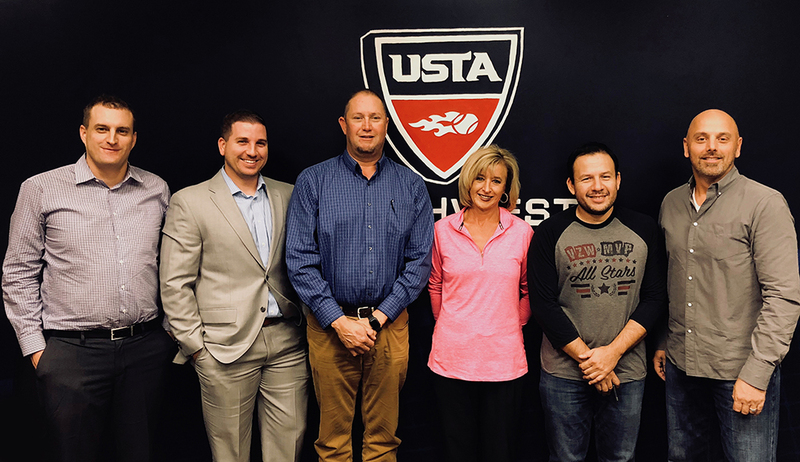 Matt Gleason, executive director of USTA Central Arizona, said membership has grown by about 600 in the last five years in Arizona. Nationwide, the growth rate of 4 percent is outpacing other high school sports. USTA wants to spread its program curriculum and get schools and youth programs outfitted in fundamentals and equipment. Rivas, who works at Verizon in Chandler, said he wants to have his kids involved in the sport and inspire a love for tennis in other young players.